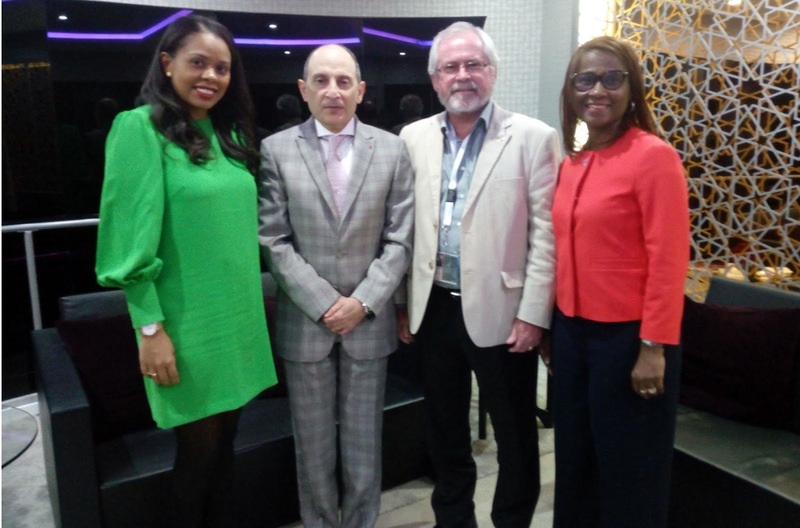 The Minister for Tourism, Civil Aviation, Ports and Marine, Maurice Loustau-Lalanne and the Chief Executive of the Seychelles Tourism Board, Sherin Francis, held discussions with airline partners on the sidelines of the 2018 ITB fair, held from March 7 to 11, in Berlin, Germany. They met with officials from Qatar Airways, Edelweiss Air and Turkish Airlines. 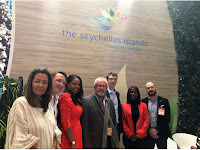 The Seychelles Tourism Board Director for Europe, Bernadette Willemin and Director for Germany, Austria and Switzerland, Edith Hunzinger, also joined the meetings. 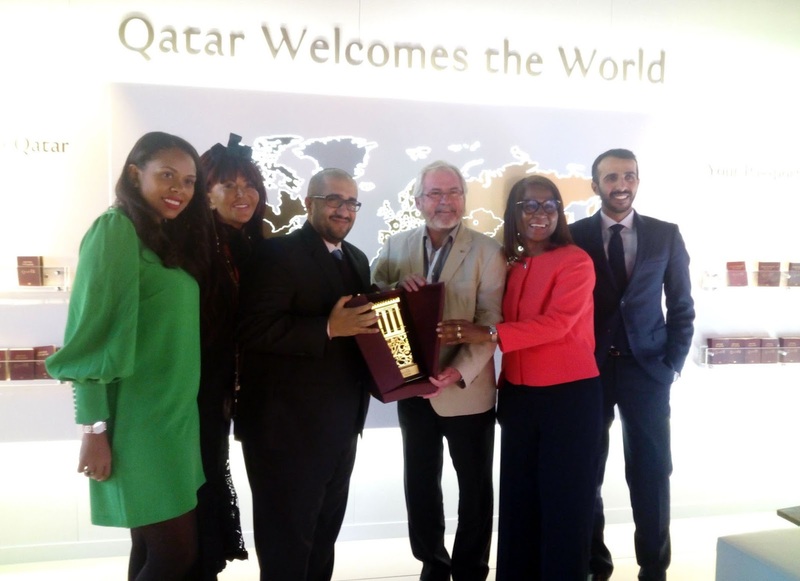 The delegation first met with the Qatar Airways Group Chief Executive, Mr. Akbar Al Baker, at the Qatar Airways stand, after which they had a separate meeting with Hassan Abdulrahman Al Ibrahim, Rashed Saeed Al-Qurese and Jennifer Beggs from the Qatar Tourism Authority. Qatar Airways, which first landed in Seychelles in 2004, operates daily flights to the island nation from its central hub, Doha. Discussions with the Qatar officials centred on the airline's performance on the Seychelles route and possible future developments. 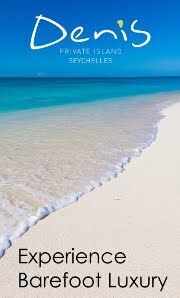 Qatar's continuous support of the Seychelles Tourism Board's marketing initiatives, including media trips and the possibility for the two sides to market and sell Seychelles and Qatar as a twin destination, were among issues discussed. The second meeting was with representatives of Edelweiss Air, which is getting ready to launch a once-weekly flight service between to Seychelles on September 22, 2018. Edelweiss Air will be flying from Zurich airport to Mahé, using one of its Airbus A340-300. The minister and his team had discussions with Edelweiss' Manager for Corporate Development, Benedikt Escher, Director of Marketing Marco Brütsch who were accompanied by Ferris Bühler, founder of Ferris Bühler Communications, -- the official PR Agency for Edelweiss Air. Edelweiss Air's efforts to finalize the details and procedures for the flight launch, and the collaborative destination marketing plan being prepared to promote the upcoming flights, were among issues discussed. 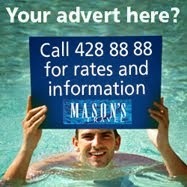 The marketing agreement is to be signed shortly by both parties, so that the promotional efforts can start in May. Edelweiss Air will become the airline that links Seychelles to a third German-Speaking market when is starts the weekly service in September. 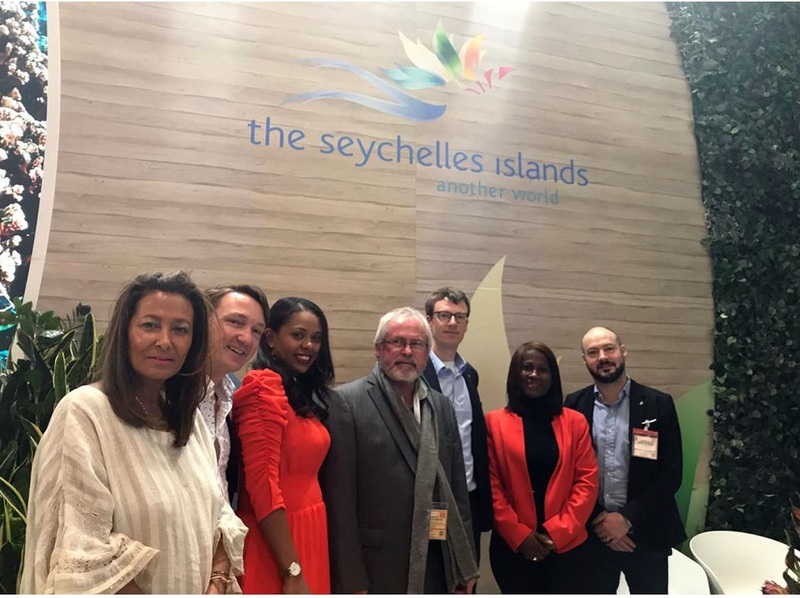 The Seychelles' team also with representatives of Turkish Airlines to discuss collaboration for the year 2018. 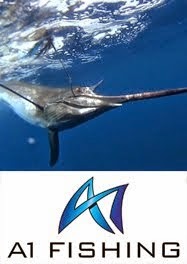 The Chief Executive of the Seychelles Tourism Board, Sherin Francis, said: "Air connectivity is key to the development of our source markets and it is in our best interest to work together with the ones serving the destination to ensure that there is synergy and that we maximize the resources. We are thankful for all the support we keep on receiving from our various airline partners."